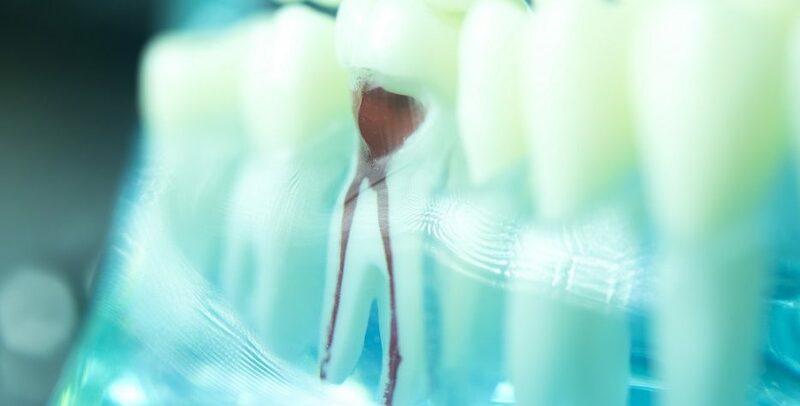 There are two options to handle inflammation and infection within teeth. The first one is by extraction while the second one is by means of root canal treatment. In the vast majority of cases when teeth are compromised, we are trying to save the tooth with root canal treatment. With the help of the root canal treatment, we will remove the nerve of the tooth. After that, the canal is cleaned and carefully shaped. The next step is to fill the tooth to keep the bacteria away. In this way, the patient will be able to keep the tooth and remove the problematic nerve. Most patients prefer this option due to aesthetic purposes or simply to stay safe from pain associated with chewing. Root canal treatments have become quite advanced in the recent years. In the past, people were a little bit skeptical because many patients have described the procedure as painful. But, the situation is quite different today. The latest technology and techniques used as part of root canal treatment make this procedure less painful and faster. Nerve damage, sensitivity, abscess and restorative work are some of the reasons why patients need root canal treatment. At Allen House Dental, we are ready to provide these treatments to all patients regardless of the cause of their problem. As a matter of fact, when teeth become broken, damaged and/or infected as a result of failing fillings, trauma or extensive decay, root canal treatment is probably the only solution to keep the tooth in place. Our professional dentists will clean the infection and place a rubber seal within the tooth to prevent the reccurrence of infection. In many cases, the tooth needs a crown which adds up to the protection and strength of the treated tooth. It’s worth mentioning that every dental practitioner at Allen House Dental is able to conduct root canal treatment. We have a team of dentists with exceptional experience and knowledge in this field. Thanks to their skills, they are able to carry out this complex procedure in just one session. We also have our experienced dental surgeon Dr Veselin Bachvarov who enrolled in an MSc Endodontic postgraduate program in 2014 and has started a Postgraduate certificate in Periodontology. He has worked extensively over the country providing endodontic treatments. With his special interest in root canal treatment he uses the latest in endodontic technology to provide the highest level of treatment for more complex cases. This procedure can normally be carried out in one session with a high level of success. Dr Bachvarov also accepts referrals from dental practitioners from the surrounding area. Root canal treatment doesn’t have to be painful or expensive and you can confirm this claim by visiting Allen House Dental. In order to make you feel more comfortable, we have created the perfect environment for our patients. Feel free to book a check up and consultation and find out whether you are a good candidate for root canal treatment.